There are a wide variety of distances to choose from in triathlon - from super sprints to Ironman and longer. As a result, individual training plans can be highly variable and finding training partners with the same needs and aspirations can be difficult. We try to accommodate all abilities and to act as a focal point for advice, motivation and above all enjoyment. We are a small club and as such organising weekly sessions has proved difficult. However, we are helped by Brecon Athletic Club, Brecon Wheelers and club members advertising their plans through our Twitter and Facebook pages so others can join in. The success of any club is dependent on the motivation of the members - so feel free to advertise your sessions and lead. 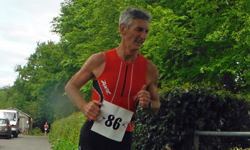 Attracting qualified coaches to the area has proved difficult but the club has a number of experienced triathletes who can provide direction if needed. Therefore our Facebook page acts as a good forum for discussion, updates and also race planning. Many come to the sport of triathlon without a swimming background and as such it can be very challenging to progress. If you are having difficulty with your swimming you can guarantee other club members will have had similar problems and will be glad to help. 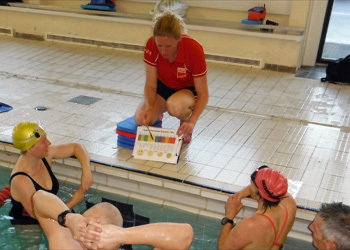 We hire Brecon Leisure Centre swimming pool on Friday evenings for a coached swim session with Kylie Mansfield. 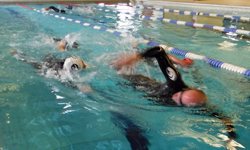 We have local open water sessions in the summer and autumn. Check out our resources page for some helpful links. The Brecon Beacons provide a superb training ground for the bike leg of any triathlon. Group rides are arranged on a regular basis and are usually organised through Facebook or Twitter. The Sunday long ride is a club staple. 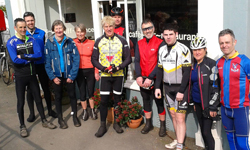 Every month we have a specific club social ride starting at 9am from Brecon Leisure, on a planned route with cafe stop, advertised on the website and Strava in advance. We join with Brecon Wheelers starting at 8.30am (8am summer) from Brecon Leisure Centreon the remaining Sundays. We also take part in local time trials plus cycle events on or off road. Check out our Strava page for some recent rides and routes. Run training is on Thursday evenings. Based at Brecon Leisure Centre track starting at 6pm. Triathlon Club members join Brecon Athletic Club for track sessions coached by Derek Osborne. Same deal as usual - free for Triathlon Club members on production of your membership card. We pay an upfront fee to Brecon Athletics to cover costs. Sessions start with a warm up and then approximately 45 mins of varied interval training, usually covering between 6-8km per session. Finishing at 7pm but it invariably drifts on until 7.30pm. Brecon Athletic Club are very informal, relaxed and friendly with Level 4 coaches setting the training sessions. Members need not be intimidated as the standards vary in age and abilities and you will always find people at similar levels. Check out the Brecon Athletics Club website to get a better picture of how it works with regards to different days and summer training. Ad hoc runs are also arranged by Triathlon Club members - keep an eye on our Facebook and Twitter pages (@brecontri).